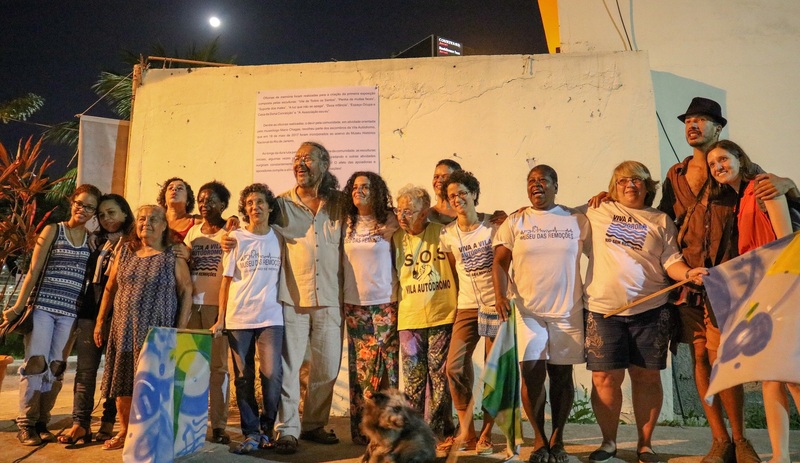 On the afternoon of September 23—which marked the beginning of Spring—residents of Vila Autódromo, activists, supporters, and nearly fifty visitors attended ‘Museum Spring’ at the Evictions Museum, reaping the fruits of a project that has been in progress for several years: the Evictions Museum Walking Tour. 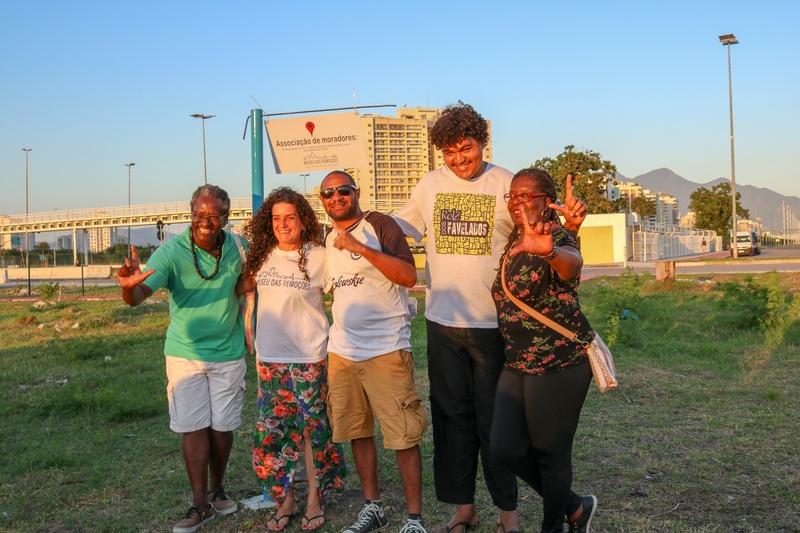 The tour, inaugurated that day, consists of 22 sites of memory that indicate important places in the history of Vila Autódromo: the children’s park, the houses of former residents, the former site of the Residents’ Association, the bakery, and others. During a guided visit by resident Sandra Maria de Souza, memories of these sites were revived and revealed. “At the bakery, we could always find fresh bread and we could make purchases on credit,” recalled former resident Jacqueline Luduvice. 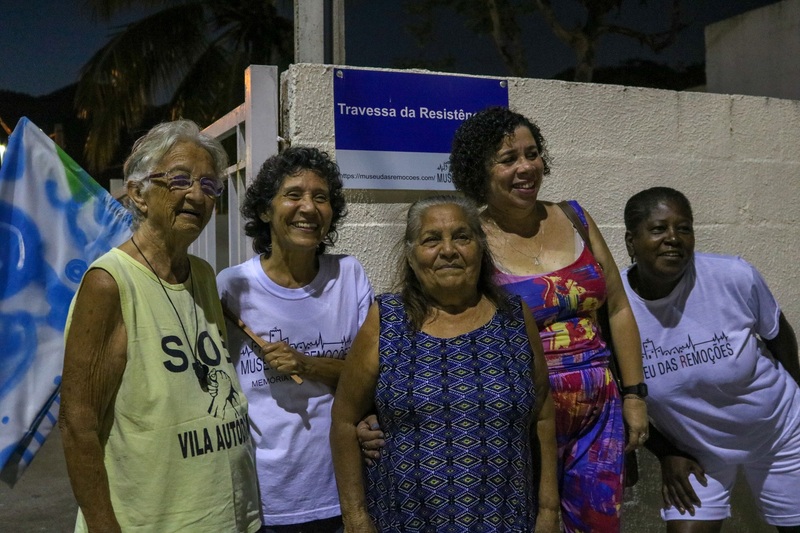 “If I could, I would return to live in my house here,” said Dona Denise Costa, who continues to live in Vila Autódromo but greatly misses her old house and neighborhood relationships. The museum representatives and other participants in the guided visit led by Souza did as she requested over the course of the three-hour tour. 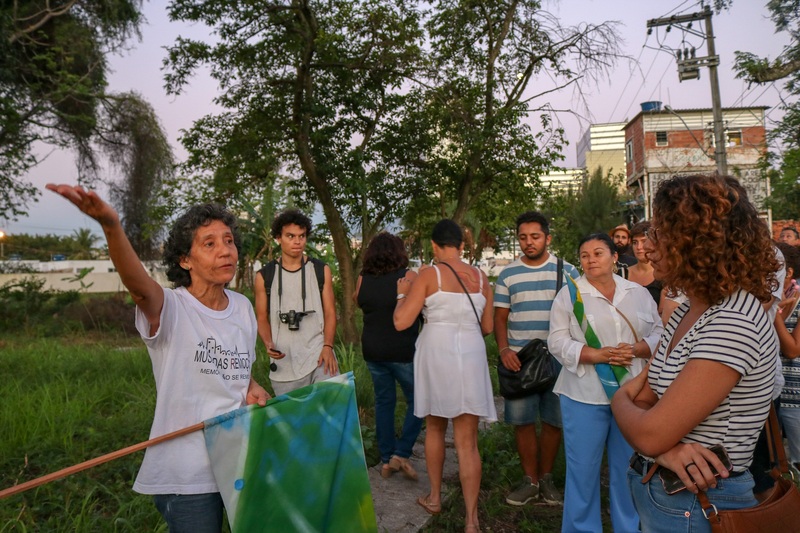 Early on in the day, museologist Thainã de Medeiros from Complexo da Penha recalled that the idea for the Evictions Museum came about during one of the resistance meetings at the Residents’ Association in 2015. When the idea was put forward, many residents thought he was crazy: “‘They’re destroying everything, and you’re thinking about a museum?’ Exactly!” Today, the destruction wrought by evictions signifies not only the history of Vila Autódromo but also that of the city as a whole. At the stop along the tour that marks the house of former residents Dona Sonia Maria da Silva and Jaqueline Luduvice (“Signpost of Jaqueline’s house”), Cosme Felippsen, representative of the Rolé dos Favelados and the Open Air Museum of Morro da Providência—the community where Silva and Luduvice now live—quickly performed a piece about the violence of eviction processes. With a tambourine in hand, Felippsen sang the famous samba “Barracão de Zinco” [referring to shacks constructed of corrugated metal]: “Zinc shack, the tradition of my country, zinc shack, the poor are so unhappy.” He continued with the samba “Opinião“: “You can arrest me, you can beat me, you can leave me with nothing to eat and I will not change my opinion, from here, from the hill, no, I will not leave, from here, from the hill, no, I will not leave.” Felippsen continued to denounce evictions in Morro da Providência, where, according to him, 200 houses have been removed since 2008. At the site of the former Residents’ Association, an emblematic space for having hosted meetings between residents during the eviction process and for the violent manner in which it was destroyed in the lead up to the Rio Olympics, the representatives from community museums met to emphasize the importance of maintaining spaces of memory in the city. Sidney Tartaruga, a representative of the Favela Museum, said that “we need to change our history, leaving a different legacy from what is seen in the media.” Antônio Carlos Firmino, a representative of the Sankofa Museum of Rocinha, stressed that “the right to memory is [achieved] through the right to housing. [Home] is where we construct our identity.” Finally, Emília de Souza of the Horto Museum recalled that Michel Temer’s administration just sanctioned the extinction of the Brazilian Institute of Museums (through Provisional Measure 850/2018). Souza emphasized the importance of this institution for the construction of community museums. There is no stop along the tour to mark the site of the former house of Dona Maria da Penha Macena, who has been a resident of Autódromo for over twenty years. Her house was aggressively destroyed and she was assaulted by riot police in March 2016. An empty parking lot now occupies the site of her old house—but the memories of Maria da Penha and her family are still alive. At the stop that marks the period in which [remaining residents] lived in shipping container trailers, Luiz Claudio Silva (Dona Penha’s husband) recalled that they spent 73 days living in the midst of chaos. According to him, the offer to temporarily leave Vila Autódromo while the new houses were under construction was rejected because they did not trust City authorities at the time and wanted to ensure that the City would not take away their right to remain. During the hours of the tour, participants brought up many memories. Mavilin Almeida, a 23-year-old current resident who was born in Vila Autódromo, recalled that he would fly kites and chase chickens in the streets during his childhood. At the children’s park, the grandchildren of former residents could experience a bit of life within the community. Visitors attentively listened to all of these stories. Some carried flags with the colors of Brazil crafted by residents, depicting the history of Vila Autódromo’s struggle. Dona Dalva Crispino de Oliveira, the oldest resident of Vila Autódromo, recalled that to celebrate her 82nd birthday—when the community was fighting to remain—they hosted a community barbecue alongside the barricades as a simultaneous form of resistance and celebration. In accordance with her birthday wishes, a Brazilian flag and another from the Fluminense Football Club were flown at the party. During the occasion, the Municipal Guard appeared and asked that the residents take down the Brazilian flag—which was attached to part of the barricade—saying that the flag implied the organization of a protest. Residents not only denied this demand—to which the Municipal Guard responded by forcefully taking down the flag—but on the following day, they also decided defiantly to hang a flag at each house as a demonstration of resistance. To this day, some residents still keep flags at their houses. The Evictions Museum was not born yesterday; rather, its history is long. 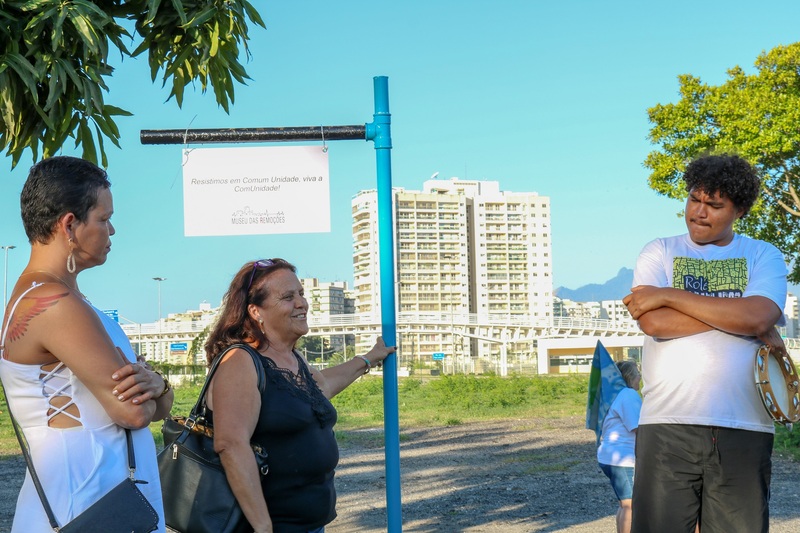 The 22 stops on the tour—which was officially inaugurated during the collective visit—jointly mark the territory of Vila Autódromo with the memories of all those who once lived in or passed through the community. At the end of the tour, museologist Mário Chagas—professor at the Federal University of the State of Rio de Janeiro (UNIRIO) and current director of the Museum of the Republic—said that those present experienced moments that would always remain with them as a collective memory of struggle, stating that museums should serve precisely this purpose. According to Chagas, the Evictions Museum represents a model of public policy constructed by civil society. This idea of public policy constructed by society can also be seen in the signs displaying the names of the roads in Vila Autódromo, which were created and installed in order to reaffirm the existence of these places and ensure their recognition. There are three roads: Vila Autódromo (the main road), Gilles Villeneuve (where the vast majority of Vila Autódromo’s commercial establishments were located), and Resistance Lane. According to Sandra Maria da Souza, the agreement established with the City in 2016 allowed for the regularization of Vila Autódromo Road (previously known as Nelson Piquet), but the City did not accept the existence of Resistance Lane, as residents had wanted. However, this did not seem to be a problem. According to Souza, “We already built this community and we are building it again.” Now, Resistance Lane has a street sign and marks the route that residents would follow—and continue to follow—to go to church. Like a full moon lighting the sky, the [screening of the] film O Desmonte do Monte (“Razing the Mountain”) topped off the day, showing that the struggle for housing is ongoing and long-standing. Film director Sinai Sganzerla said that the history of Vila Autódromo is reminiscent of the razing of Morro do Castelo [in 1922]; in both cases, public authorities instituted and violently carried out processes of social hygienization. The film was screened in the community amphitheater, constructed in partnership with the Goethe Institute as part of both The Future of Memory program and the Evictions Museum Walking Tour. The inauguration of the walking tour was preceded by a delicious risotto and ended with hot dogs, both made by Dona Penha. After an emotional day, we were fed with hope and delicious food. Indeed, Dona Penha’s recipes should be made into a cookbook; aside from being filled with emotion, the memories of Vila Autódromo are also full of flavor. Still, the struggle continues. To this day, the City of Rio de Janeiro has not fulfilled its extrajudicial agreement with residents of Vila Autódromo, signed in 2016. The agreement guarantees residents’ permanence, documentation of property rights, and the conclusion of upgrading works in the community. 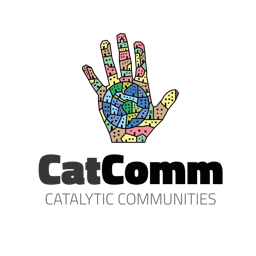 This article was written by Taísa Sanches, and published on October 9, 2018.